If you are like many people, there is likely a home remodeling project that you’ve been yearning to do for a long time. Perhaps you would love to have the kitchen of your dreams. Or maybe there’s a room addition that would make your house complete. Whatever the particulars of the project you have in mind, there is a major obstacle holding you back. 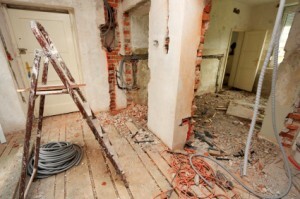 Granted, part of that may be fear of the stress and inconvenience that you imagine a remodeling project may entail. But the bigger obstacle is likely a financial fear. Like many people, you are probably on a fairly strict budget these days. You want to watch every penny and are careful about how you spend each dollar. That’s understandable—and many other people are in the same situation. However, just because you are on a budget doesn’t mean your home remodeling plan is destined to remain an unfulfilled dream. At RW Remodeling, cost is an important consideration for many of our customers—and that’s something we appreciate. We know how hard our customers work for their money, and we strive to help them get the most out of it. Through our emphasis on careful planning, we can keep the scope of the project in line with the budget. Plus, by ensuring the project runs smoothly and finishes quickly, we help avoid the costs associated with delays and unexpected problems. Contact us to discuss what we can do for you, within your budget.